UK solicitor explains what a forklift accident compensation claim is; the most common types of injuries caused by pallet trucks; the amounts of compensation you can claim with access to free online specialist solicitor legal help. 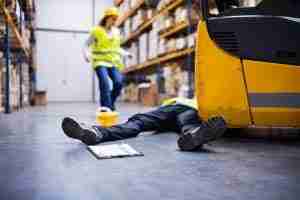 What is a forklift accident compensation claim? “Forklift accident compensation claims” are claims for compensation made by an employee, or other worker, from an employer for injuries caused by the defective maintenance or operation of a forklift truck. Perhaps the most common name for a forklift truck is a pallet truck. Most of the objects moved by a forklift rest on pallets. Pallets are typically square wooden slatted structures which have gaps at their base in which the forks of the truck can be positioned. Some pallet trucks are pump action hand trucks – others are gas, diesel or electric powered vehicles. All forklift trucks are in essence counterbalance trucks. The front forks of the truck can lift extremely heavy weights as that weight is counterbalanced by heavy weights in the back of the truck – typically made of cast iron. A forklift truck can have many attachments which can be used instead of the traditional forks. The type of attachment will depend on the nature of the objects to be lifted. For example – the side loader attachment allows the forklift driver to move the forks of the truck horizontally for easier positioning of the loads. Telescopic attachments are extended forks which allow the forklift driver to pick up two pallets in line (without an attachment the forks are only long enough to pick up one pallet at a time). Bin tipping trucks are forklift trucks with a rotator attachment, which allow the forks of the truck to rotate and empty the contents of large tubs or bins. Other attachments include poles (for inserting into carpet rolls or other long cylindrical objects), clamps (for attaching to smaller cylindrical objects such as barrels). Forklift trucks have the facility to raise and lower the forks – a common name for such trucks is therefore high low trucks. What are the most common types of forklift accident compensation claims you can have? A forklift truck is a very heavy and powerful piece of machinery – used to move extremely heavy weights in the workplace. Crush injuries to your body parts – such as hands, arms, feet and legs are all too common, which typically comes from the careless operation of the pallet truck by the driver or improper maintenance of the vehicle. For example – I have known forklift accident compensation claims to succeed when the weighty forks of the truck slipped hitting a worker causing crush injuries. The forks had slipped due to the lifting mechanism of the pallet truck being faulty and improperly maintained. Click defective work equipment compensation to see the article I have written explaining how to show your employer is responsible for faulty maintenance and work machinery defects. Fork lift truck drivers should have a valid licence in place demonstrating that proper training has been provided by an employer and the driver is aware of all the dangers and safety requirements for operating such a vehicle. An employer will be held responsible to pay forklift accident compensation for injuries caused by any errors made by a forklift driver at work under a legal doctrine known as vicarious liability. Some forklift trucks can have suspension – others do not. When heavy vehicles without suspension or faulty suspension are used on uneven surfaces the forces that can be passed onto the driver can be immense. Regretfully, tragic consequences can result from forklift work accidents and if a worker is hit on the head a fatality can be caused. In such cases family members and dependents can claim compensation – click fatal accident to see the page I have written explaining the steps to making a claim. How much forklift accident compensation can your claim? The amount of compensation your forklift injury claim is worth depends on several factors – including the area of your body injured and the severity of your injury. Click compensation amounts to see examples of forklift accident compensation payouts for injuries to various different body parts. 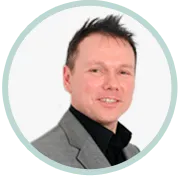 Click forklift work injury solicitor to select from my website’s free online legal help options, including speaking to me in person about your work injuries and the process of making a forklift accident compensation claim. Injury Claims At Work. permalink.